Summer Fun continues with the Acts8 BLOGFORCE! We’re doing some lighter subjects this summer, which started with the Grumpy Episcopal Cat meme last month. This week’s challenge: Write a haiku about the Episcopal Church. The essence of haiku is “cutting” (kiru). This is often represented by the juxtaposition of two images or ideas and a kireji(“cutting word”) between them, a kind of verbal punctuation mark which signals the moment of separation and colors the manner in which the juxtaposed elements are related. 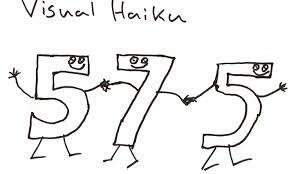 Traditional haiku consist of 17 on (also known as morae), in three phrases of 5, 7 and 5 on respectively. A kigo (seasonal reference), usually drawn from a saijiki, an extensive but defined list of such words. It sometimes gets so messy. 2. Send the permanent link and the haiku to blogforce@acts8moment.org. This should be done by no later than 5PM Central Time on Sunday. On Monday, the haiku will be re-posted with links. At that point, the provided code will point to the round-up page instead of here. All these books, I thought. Next week, I’ll come back. Hands on my forehead, confirmed. I love this. My church has a chapel that opens to the garden and on nice days we have the birds and insects accompanying us at the Wednesday evening service. till we want no more.